If there's one thing I take away from Food Pres, it's that you can eat the entire beet plant. How considerate of it to ensure that us humans do not waste a single part of it. Okay, minus the skin. But you were close, beet, you were very close. 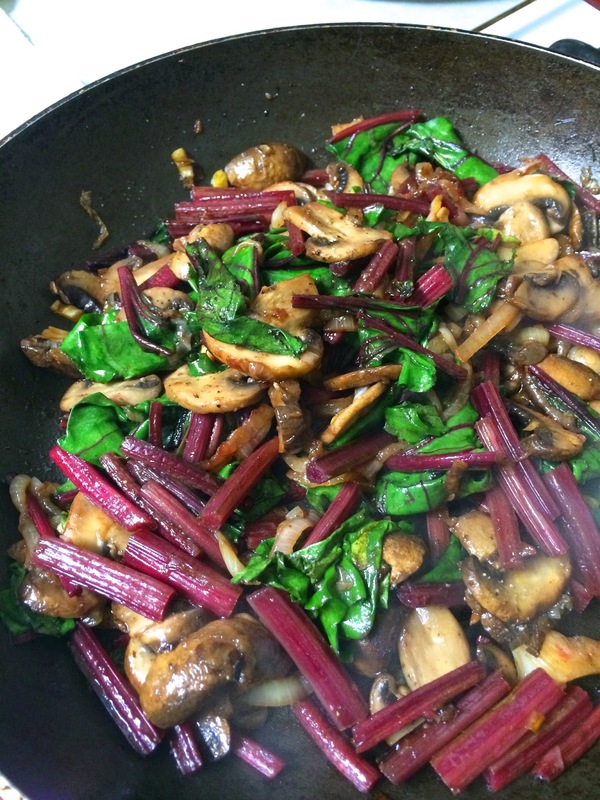 So while I got beets for the sweet, maroon roots, I became obsessed with this dish featuring the greens. I pretty closely followed the recipe, including the glass of red. 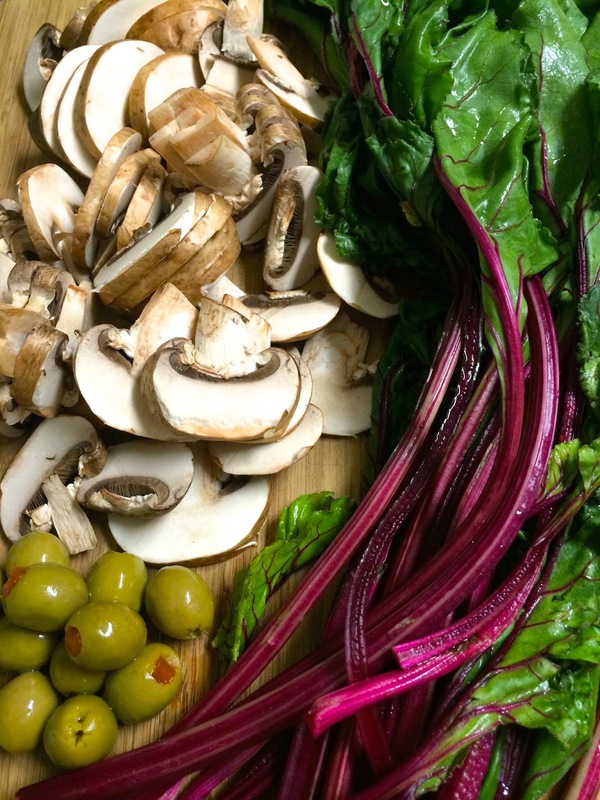 Substituting olives for capers, onions for shallots, and adding button mushrooms. But seriously, mushrooms. I mean, if you don't like them... that's fine, omit, you're crazy. But something about mushrooms and bacon... mushrooms cooked in bacon fat... mushrooms cooked in bacon fat with cheese on top. Trust me. 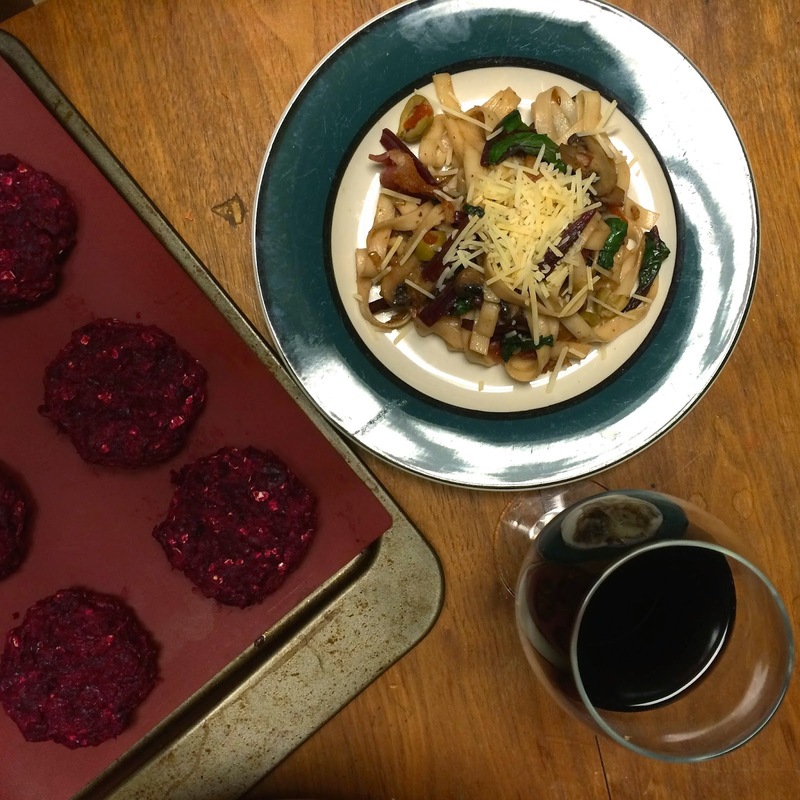 And in case you hadn't noticed them already, the beets and half the container of mushrooms went into beet/bean and mushroom/bean burgers that are currently taking residence in my freezer for those desperate times when I have too little food. Just gotta make some buns.